This is WebGenii, with an installment from my Reading Diary. So, what have I been reading lately? "Wild Children" by Richard Roberts, published by Curiosity Quills Press. The book is apparently only available in eBook format. This was a memorable fantasy novel. I finished it in one night, but have been thinking about it ever since. In this world children who do not behave are told they will change into “Wild Children” animal-human hybrids. How and why children change is an ongoing mystery throughout the novel as five children’s intertwined stories tell how they changed and what their lives as “Wild Children” are like. But each of the children experiences betrayal; is this what makes them wild? Mr. Roberts captures the voices of children, especially as they begin to recognize adult hypocrisy. I thought at first I would share this book with my son, but the themes of betrayal and mortality make it too dark for a young reader. However an adult reader will find lots think about here. Recommended. "Bitter Seeds" and "The Coldest War" by Ian Tregillis, published by TOR. I have to discuss both books at the same time, because I gulped them down back to back. They were terrific alt-history adventure featuring super-men created by a mad scientist and put to work for the Nazi’s and the secret department of British Warlocks who make a treaty with otherworldly beings to fight them. I really liked how the characters and story developed; Ian Tregillis has put himself on my must-buy list. The characters were rendered in shades of grey. Much of the books are from the point of view of one of the Nazi “supermen” and his was a sympathetic and understandable character. Equally, the British “heroes” were equally interesting, men who realize that they are committing despicable acts and have moral questions about their actions, but who still forge on. “The Coldest War” continues the story during the Cold War period as the “super-men” are captured by the Russians and used as weapons. Lastly, I want to mention that Mr. Tregills really handles omniscience well. One of his “super-men” (actually a woman) can see the future. 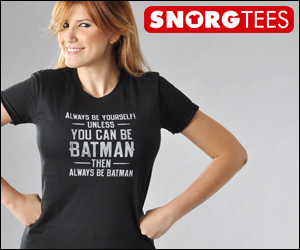 This kind of character can be a real problem, plot-wise. He solves this problem in a very satisfying way. The two novels are part of a planned trilogy, with the third part due this year. I wouldn’t wait for part three. Recommended. 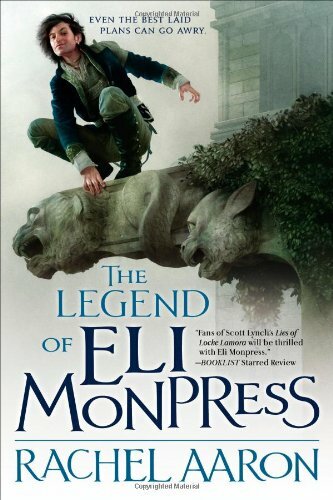 ”The Legend of Eli Monpress” by Rachel Aaron, published by Orbit. This begins the adventures of Eli Monpress; thief and wizard. This is the omnibus edition which includes; “The Spirit Thief”, “The Spirit Rebellion”, and “The Spirit Eater”. This has been compared to Scott Lynch's "Lies of Locke Lamora" series, with a cocky, vain and charming rogue hero. 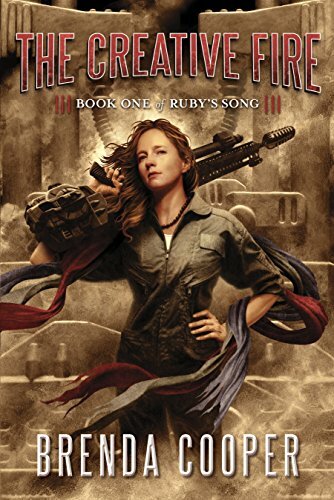 “The Spirit War” (an Eli Monpress Novel) by Rachel Aaron published by Orbit. Eli Monpress is back in this sequel to "The Spirit Eater". He has problems with a member of his band of rogues outshining him. Also, the the Immortal Empress is staging a massive invasion. 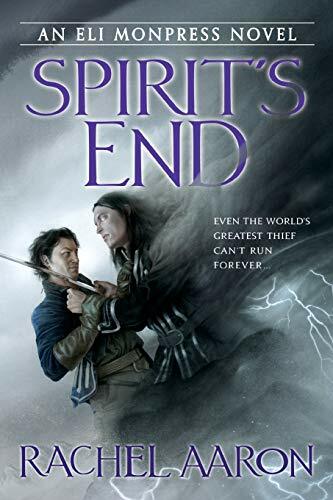 ”Spirit's End” (an Eli Monpress Novel) by Rachel Aaron published by Orbit. 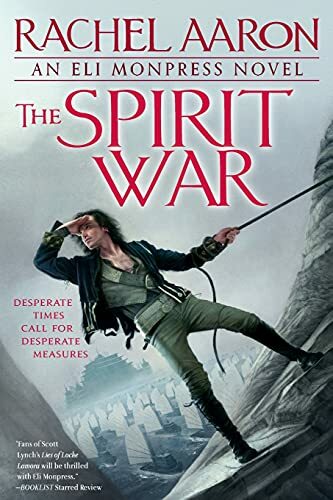 In this sequel to "The Spirit War", Eli Monpress is back with big problems. “The Creative Fire” by Brenda Cooper published by PYR. This is the beginning of a new series from Brenda Cooper. 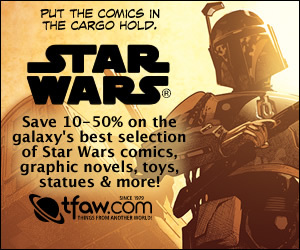 It features a teenage heroine coming of age on a generation ship. “The Lazarus Machine: A Tweed & Nightingale Adventure” by Paul Crilley published by PYR. A YA steampunk adventure set in an alternate 1895 London, where steam and Tesla computers are everywhere as are human powered automatons. Our hero; the son of a conman must find out where his father has disappeared to. “The Steam Mole” by Dave Freer published by PYR. This is the sequel to "Cuttlefish" a book I enjoyed and hope to read with my son. Dave Freer's world is full of YA steampunk adventure. Our heroes Clara and Tim are now in Australia, using burrowing Steam Moles to cross the inhospitable desert. I look forward to reading it. "Wild Children" by Richard Roberts, published by Curiosity Quills Press. "Bitter Seeds" and “The Coldest War” by Ian Tregillis, published by TOR. ”The Legend of Eli Monpress”, “The Spirit War” and ”Spirit's End” by Rachel Aaron published by Orbit. “The Creative Fire” by Brenda Cooper published by PYR. 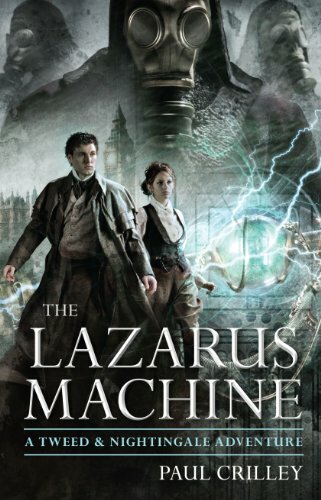 “The Lazarus Machine: A Tweed & Nightingale Adventure” by Paul Crilley published by PYR. 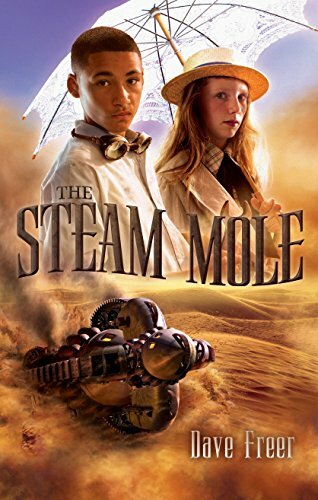 “The Steam Mole” by Dave Freer published by PYR.